So many stars have done their part for Haiti by raising awareness and funds, but one A-lister is actually taking the controls of a plane and flying into the heart of the disaster area himself – John Travolta. One of Travolta's reps just confirmed to CNN that the star is personally flying one of his jets to Haiti to help out with relief efforts there. In addition to relief supplies, Travolta is bringing along his wife Kelly Preston, several doctors and Church of Scientology ministers. A mistrial has been declared in the trial of two people accused of attempting to extort millions from actor John Travolta after the death of his 16-year-old son, Jett. Judge Anita Allen thought someone in the jury had had inappropriate communications outside of the jury room, where jurors had been deliberating for eight hours. The judge received information that an announcement had been made at a local political rally that one of the defendants had been found not guilty. Paramedic Tarino Lightbourn and former Bahamian Sen. Pleasant Bridgewater, who is also Lightbourn's attorney, were accused of trying to extort money from Travolta. Jett Travolta suffered a seizure on January 2 at the family's vacation home on the island of Grand Bahamas, where the family was spending a New Year's holiday. Lightbourn and Bridgewater allegedly tried to get Travolta to pay them $25 million to not make public a medical document, declining to have Jett transported to a nearby hospital. Travolta refused a demand for money. Videotapes secretly recorded by John Travolta's attorney were played Monday at the trial of two people accused of trying to extort millions of dollars from the actor after his son died in the Bahamas in January. The videotapes showed what Travolta's attorney said were negotiations between himself and one of the defendants, with discussions centering on a document the suspects claimed could reflect unfavorably on Travolta's actions after his son was found unconscious. Defendants Tarino Lightbourne, a paramedic, and former Bahamian Sen. Pleasant Bridgewater are on trial on charges they plotted to extort $25 million from Travolta after 16-year-old Jett Travolta died from a seizure. Travolta attorney Michael McDermott testified Monday that he assisted police in a sting. As the videotape was played Monday, McDermott described it as depicting a meeting in a hotel room between himself and Bridgewater, who said she represented Lightbourne. Bahamian police had placed wireless microphones on McDermott and hidden two cameras in the room, McDermott said. Defense attorneys have attempted to convince the jury that Travolta's attorney came to the Bahamas to "set up" their clients. Murrio Ducille, who represents Bridgewater, on Friday said to Travolta's attorney, "you came to the island with evil in your heart." Earlier in the trial, Travolta testified that his son was found unresponsive by a nanny at their home on Grand Bahama Island, where the family was spending their New Year's holiday. Travolta said he initially told the ambulance driver to rush them to an airport where his private jet was parked and where Travolta, who is a pilot, planned to fly his son to a West Palm Beach, Florida, hospital instead of driving him to one in nearby Freeport. The trial of two defendants accused of trying to exort $25 million from John Travolta in return for handing over a document relating to the death of the star's 16-year-old son, Jett, continues in the Bahamas today. Meanwhile, PEOPLE has watched videotape of conversations recorded by the Royal Bahamas Police between Travolta's attorney and the two defendants - paramedic Tarino Lightbourn and his lawyer, Pleasant Bridgewater, a former Bahamian senator - that appear to be an attempt to secure a multi-million dollar payment from Travolta for the return of a form the star signed when considering whether to have his son be taken to an airport rather than to the nearest hospital. "Where the hell did you get a number of 25 million bucks?" Travolta's lawyer, Michael McDermott, indignantly asked Lightbourn, who was one of the first people to arrive at the scene of Jett's death, about the exorbitant sum the paramedic allegedly demanded for handing over the document, known as the Do Not Transport form. Actor John Travolta, testifying Wednesday against two accused extortionists, publicly confirmed for the first time that his 16-year-old son suffered from autism. The details on Jett Travolta's illness came out as the "Pulp Fiction" star recounted his desperate effort to revive the dying teen at their Bahamas vacation home. Travolta testified that he performed CPR on 16-year-old Jett in a fruitless effort to save the youth. Travolta said a caretaker at the home was already working on the unconscious teen when he came to Jett's aid last Jan. 2. "I ran downstairs with my wife to help my son," said Travolta, whose spouse – actress Kelly Preston – watched his testimony inside the courtroom in the Bahamas. The 55-year-old Travolta, who has maintained a low profile in the wake of the tragedy, revealed for the first time that his son was autistic and suffered from "a seizure disorder." The seizures would strike every five to 10 days, Travolta said, and his son would usually sleep for 12 hours after each 60-second attack. In the past, the Travoltas said only that their son was afflicted by Kawasaki disease, a rare malady that mostly affects young children. Critics said the Travoltas would not admit their son was autistic because of their belief in Scientology. Travolta is the star witness in the case against paramedic Tarino Lightbourne and former Bahamas senator Pleasant Bridgewater. 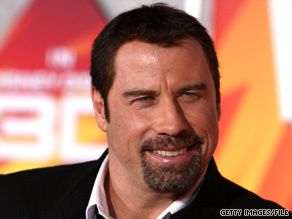 The two were charged with trying to shake down Travolta for $25 million. The pair pleaded innocent. Police said the extortion was tied to a document related to Jett Travolta's treatment. Travolta testified that he and Preston were sleeping at the family home in the Bahamas when a nanny woke them up with word of the teen's seizure. After they came downstairs, the star began providing mouth-to-mouth resuscitation as an employee continued with chest compressions. Travolta arrived at the courthouse in an entourage of SUVs before taking the stand. The family was in the Bahamas to celebrate New Year's before the tragedy. Actress Kelly Preston, whose son Jett Travolta died earlier this year, will talk publicly in October about how she and her husband, actor John Travolta, have dealt with their grief. 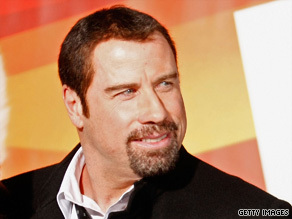 John Travolta's famous friends grieve with actor and his family. See what Tom Cruise and others and saying about the death of young Jett. Plus! John talks about love, loss and family in an encore of Larry's last interview with the star. John Travolta and Kelly Preston’s 16-year-old son, Jett, who had a history of health problems, was killed by a “seizure,” according to the death certificate issued today. While the official results of an autopsy today have yet to been publicly announced, a source close to the investigation into Jett’s death tells E! News that a preliminary report determined “there is no foul play,” and corroborates what a Travolta family lawyer initially stated last Friday. “It is not a suspicious death. The body wouldn’t already be turned over to the mortuary if there was anything suspicious,” the source said.